Donizetti: Emilia di Liverpool: Madre, deh placati… ah! Recording session for a new cd, which will be published in 2019. Once more we begin the new season of the "Gregorio Solabarrieta" Chamber Orchestra and its Youth Orchestra, with an opening event in which we will present all the concerts, guest artist and activities that will take place throughout the new season 2018-19, which has been designed under the metaphorical idea of Labyrinths. The II Conducting course for apprentices is organized within the Summer Courses University of Burgos and directed by Asier Puga. Conversation with playwright and stage director Pablo Messiez, within the cycle "encounters" organized by La Barraca, as part of his season Passions 2017-18. 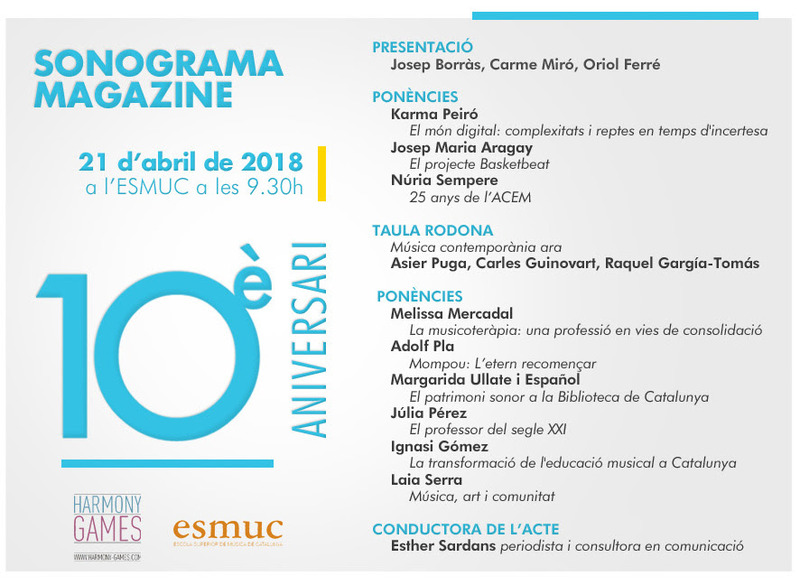 Due to its tenth anniversary, the Sonograma Magazine has organized a day with different talks and activities, which will be held at the Catalonia College of Music (ESMUC). Under the title of "Contemporary music today", Asier will take part in a round table along with the multidisciplinary composer Raquel García-Tomás, and the composer Carles Guinovart about the situation of contemporary music nowadays.